The Town Council of Calp has been promoting the deployment of optic fibre in Calp under the terms established by the regulations. A total of five companies has submitted to the Town Council a plan for the deployment of this technology that has been checked and authorized by the Council fulfilling the current legal framework. The organization estimates that optic fibre reaches now 70% of the population in the urban area and is beginning to be implemented in the area of beaches and housing estates. The main purpose of the Town Council is to minimize ditches and works that may cause inconvenience to citizens, in this sense the Council asked the installation companies to use telephone channels to minimize discomfort and façades installations. 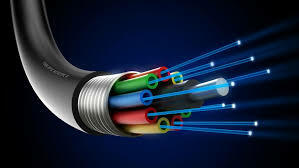 Optic fibre favours modernization, makes it possible to surf the Internet at high speed and with more stable connection, it is faster and safer and improves the reception of digital television. Although, according to the regulations, the installation of optical fibre corresponds to authorized companies, the Town Council is the one that authorizes and checks the deployment in the municipality.